I was delighted to be asked back to guest lecturer on Service Design at NCAD’s MA in Interaction Design. To teach the fundamentals, I ran a one day workshop focused on practical application of methodologies. At Dublin’s Service Design Drinks I spoke about Service failure. Failure happens for all kinds of reasons; human error, technical issues or even acts of God. I showed some examples of service failure and discussed how knowing the jobs users are doing can help us successfully recover from failure. Iterations is a design and research journal published by the institute of designers Ireland. 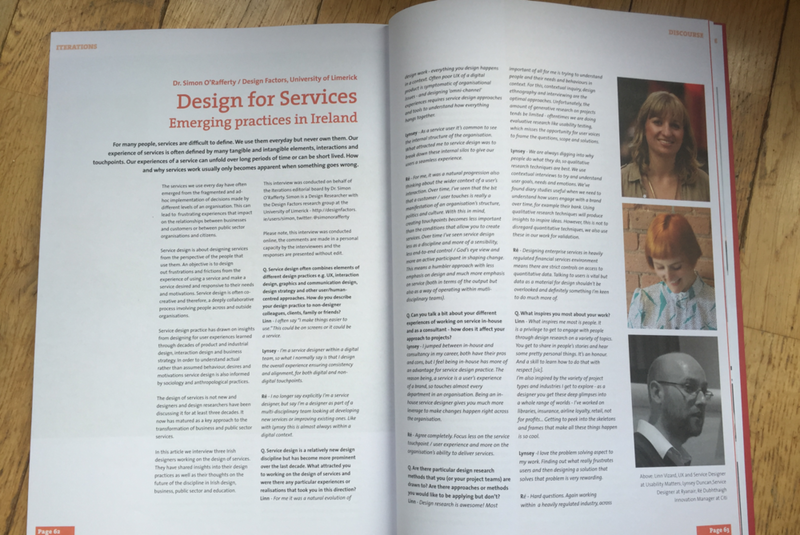 In the 3rd issue I was interviewed with fellow Irish Service Designers Ré Dubhthaigh and Linn Vizard on the field of Service Design in Ireland by Dr Simon O’Rafferty. NDRC is an early stage investor in tech companies. In June 2016 they held a startup weekend specifically for InsurTech companies. I was delighted to be asked to speak on Customer Experience at the lunch and learn session. I was asked to guest lecturer on Service Design at NCAD’s MA in Interaction Design. I ran a one day intensive workshop to teach the fundamentals. I was delighted to be asked to run a Service Design Workshop at Rebase with my colleague Ré Dubhthaigh. The full day workshop taught the service design basic and shared case studies. Defuse is hosted by IxDA Dublin, and is an evening of Pecha Kucha talks. Here I am talking about lunch and queuing. With Service Design starting to gain traction in Ireland, Ré Dubhthaigh spotted a gap in the market for Service Design training. He invited Sean Miller and myself to join forces with him to deliver a 3 day masterclass in which we taught the process and shared our experiences. Read more here. 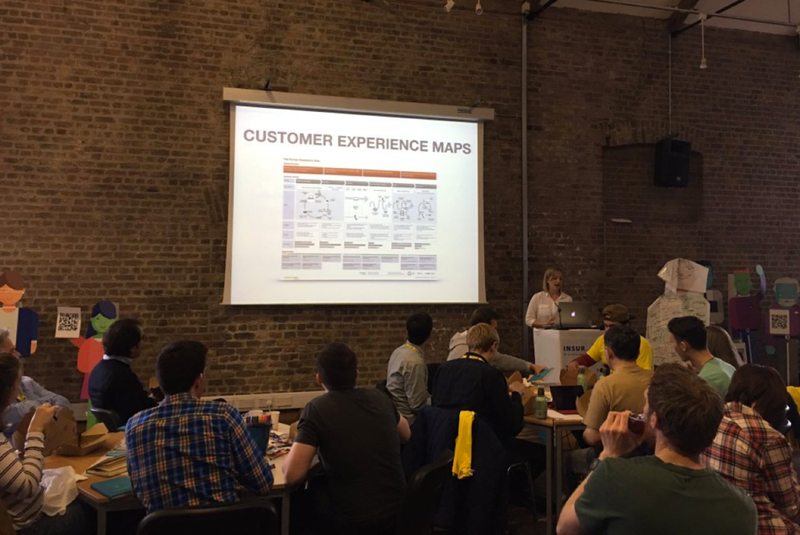 I co-hosted the Dublin chapter of the first Global Service Design Jam. This event was started by volunteers to grow the field of Service Design.